There are new fantastic sports men and women rising to the forefront of their respective sports all the time, but while many of them might be capable of incredible feats of athleticism, only a select few rise above their sport or event and become true stars. Whether it’s because of moments of pure genius on the turf, or whether it’s because of their natural leadership and charisma, the following top 10 sports stars have transcended any single sport to become icons. 10 Usain Bolt – Usain Bolt recently smashed the record for the 100 meters and made it look easy – even slowing down at the end. His seeming ambivalence towards setting an unbeatable record makes him frustrating, but his talent really can’t be denied and neither can his place as one of the top ten sports stars. 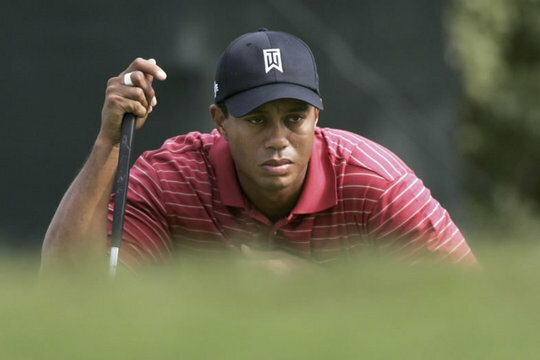 9 Tiger Woods – Tiger Woods’ extra-marital activities may have left him less popular than he has been, but he nevertheless managed to make golf more attractive to a younger audience and has undeniable skill making him another of our top 10 sports stars. 8 Dwayne ‘The Rock’ Johnson – The Rock was a tour de force in the world of wrestling and quickly became a fan favorite with his ‘people’s elbow’ and his infamous eyebrow. His charisma was such that he has since managed to break Hollywood and become the next big action star. 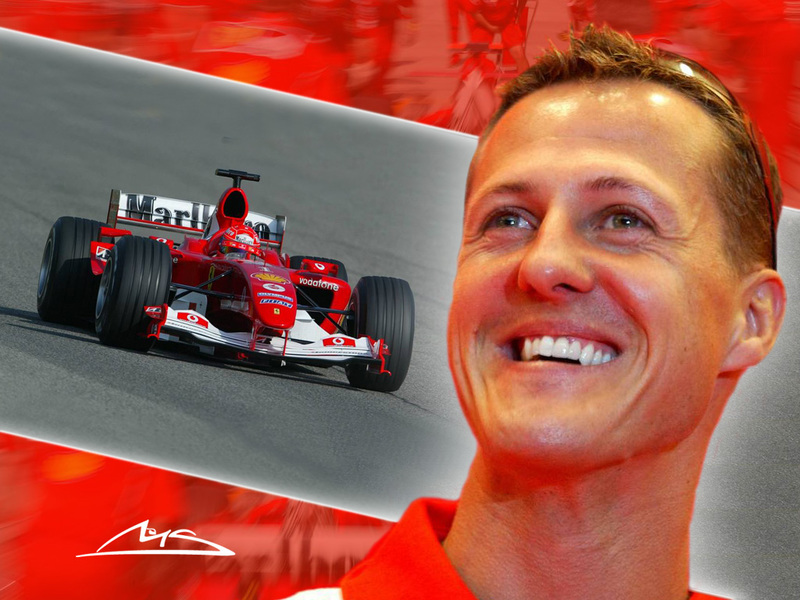 7 Michael Schumacher – Michael Schumacher may not be at the top of his game, but in his hey day his aggressive driving style ensured that he was always talked about as did his record breaking achievements and unrivaled successive wins. A household name and one of the top 10 sports stars. 6 Arnold Schwarzenegger – Arnold Schwarzenegger took the underground sport of Bodybuilding and made it into a multi-million dollar industry and for that alone he is one of the top 10 sports stars. Following that though his charisma and smarts helped him to succeed also in acting, politics and even business. 5 Michael Jordan – Michael Jordan is a household name and in fact it was his charisma and clever marketing which helped to promote NBA around the world. He has also been in films and is a successful businessman helping him to become incredibly successful and another household name. 4 The Williams Sisters – The Williams sister (Serena and Venus) are among the top 10 sports stars for being unusually talented siblings, for their infamous yells while playing tennis and again for being instantly recognizable. 3 Lance Armstrong – Lance Armstrong makes it this high on our list of top 10 sports stars for being a perfect poster boy for the power of determination and positive thinking overcoming cancer to win the Tour De France five times in a row (and look out for a brilliant cameo in Dodgeball). 2 David Beckham – David Beckham is a soccer who’s famous the world over and just as big in countries like Japan as he is in the US or his home-country England. He’s fancied by women the world over, part of one of the most famous celebrity marriages ever and has sold more boxer shorts than perhaps any other man – all making him one of the top ten sports stars. 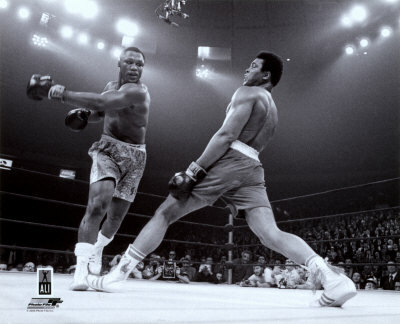 1 Mohamed Ali – Mohamed Ali has to top a list of top 10 sports stars for being quite simply the greatest. With a sharp wit, balletic grace and some amazingly memorable fights (George Foreman of course, but also the shockingly short bout with Sonny Liston), he also stood up for what he believed in making him a true legend. Mohamed Ali, oh god. Definitely the best of top 10 sports stars. He was a great man. Tiger Woods is also extremely popular. Not to mention Lance Armstrong who had the power to overcome his illness. In top 10 sports stars we have some good examples we should follow. Mewho said some great things. I agree with him. In this top 10 sport stars we truly have good examples. We should definitely follow them. Some of these top 10 sport stars, as Mewho said, had the power to overcome their illness or problems and, with all these, to succeeded in life. Yey, a list with top 10 sports stars. I was looking for something like this. I wonder why they do not get more media promotion. People like them. I guess my favorite is Beckham. I am a huge football fan. There are so many others which deserve to be in this top 10 sport stars. Andre Agasi is for sure one of them. He is one of the best tennis players. Many people consider him the greatest tennis player of all time. So, for sure, it should have been part of the top 10 sport stars. Please take Arnie off this list. I say that Michael Jordan should be on this list. I do not really consider Arnie to be an athlete anyway. Just a big old cheater. 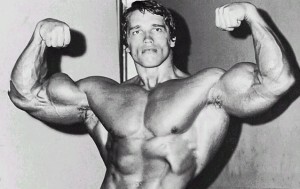 Why do you think Arnold is a big old cheater? I think he belongs in this top 10 sport stars. He is not for sure a cheater. He is old, indeed, but all these great sport men are old too. Anyway, this part is irrelevant. Arnie deserves his place in the top 10 sport stars, because he succeeded in life and he is indeed a star. I totally agree with Angie. Michael Jordan indeed should be in top 10 sports stars. I do not agree with taking Arnie off top 10 sports stars list, though. He is an example to follow for a lot of people. Anyway, I am a huge fan of Mohamed Ali. Top 10 sports stars who rocked the world! These guys were amazing and made everyone watch their sports. For instance, I started watching basketball because of Michael Jordan. He is one great player. And I think he could have made it to the first or second position in top 10 sports stars. I wouldn’t put Mohamed Ali the first in top 10 sports stars. I like more David Beckham. Not only it is good on what he’s doing but he also looks good too. I mean he looks very, very, very good. He must be the first in top 10 sports stars. 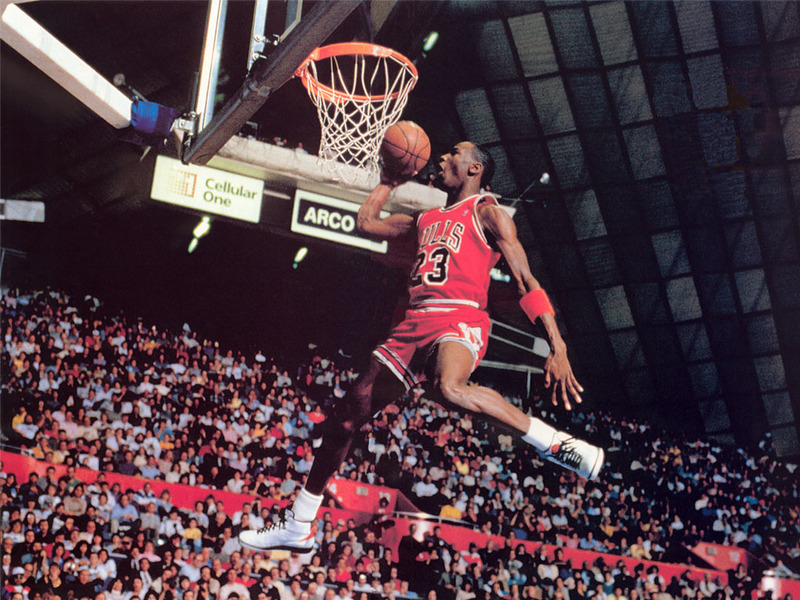 Michael Jordan is my favorite from this top 10 sports stars. Basketball is my favorite sport. I practiced it since I was little. Jordan was my hero and he still is. He was my model in life and I dreamed to become like him. So, if I were to create my top 10 sports stars, Michael Jordan would have been in the first place. I’m a big fan of wrestling. Even if I am a girl I like this sport. So my favorite from these top 10 sports stars is Dwayne ‘The Rock’ Johnson. I like the fact that he is strong and he is also a show man. He is the first in my top 10 sports stars. They are my first from top 10 sports stars. I’m not a big fan of sports so I’m not very familiar with these top 10 sports stars. If I were to choose a man on first place in this top I would choose Arnold Schwarzenegger to be it. He is not only one of the top 10 sports stars, but he succeeded in many other domains. I’m sure he is well known by everybody because of its achievements. He should be in the first place on this top 10 sports stars list. I too admire Arnold Schwarzenegger the most from all these top 10 sports stars. Beside the fact that he is a fulfilled person, I like very much that he is charismatic. I don’t think there are people who don’t like him. I guess he is liked by everyone. It surely must be the first from these top 10 sports stars. John Cena was more popular than “The rock”! But I cannot be objective, as Cena was my favorite. Nevertheless, Id say that he deserved a place in top 10 sports stars. Maybe next to “The rock”. Tiger Woods got a lot of publicity from the cheating scandal. Bad publicity is still good publicity, ya know? He became very popular by cheating on his wife. People who have never watched golf found out about him. Also, another popular man of your top 10 sports stars is lance armstrong. He defeated cancer and that got him popularity. I’m a big fan of basketball. I’m not very good at it, but I love to watch. 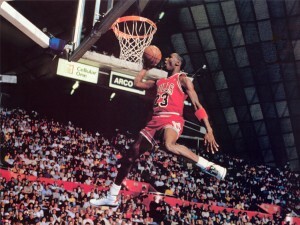 Michael Jordan is of course one of my favorite top 10 sport stars. It is very successful and he is indeed really charismatic. In my opinion he is number one among these top 10 sport stars. 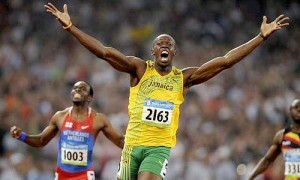 Usain Bolt is my all-time favorite. He should have been in a better position in your top 10 sports stars. But this might be just me… Another great guy is Lance Armstrong. Meh, I mean everyone in top 10 sports stars is great, but I am a fan of those 2. Where the heck is Triple H? I mean he is so much better than the Rock. Much bigger and can wrestle way better. Plus he has been in movies just like the Rock so he is just as good. And way more famous if you ask me. I am happy there is a football player in top 10 sports stars. It is actually normal. As football is the king of all sports, beckham could not stay off this top 10 sports stars. Ronaldinho could be in top too. Or Zidane. The Williams sisters are my favorites. I wish they would have been listed as number one. They have worked so hard over the years. And they play a mean game of tennis. 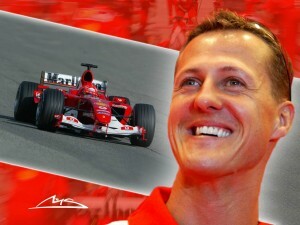 My favorite top 10 sports stars is Michael Schumacher. I’ve been watching Formula 1 since I was a kind. Me and my father were crazy about this sport. And Michael was our favorite. I also think this it is one of the best top 10 sports stars. I don’t really like sport that much. I’m not very familiar with these top 10 sports stars. I only know some things about Michael Jordan. But he is the only one from these top 10 sports stars I know. The rest are pretty unknown to me. 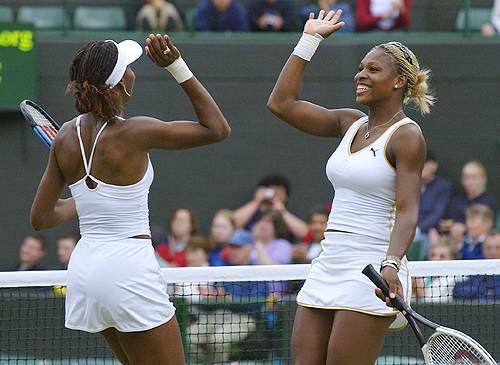 The Williams sisters are my favorite top 10 sports stars. Maybe because I’ m a girl and I support womanhood. But I do think they are very good at what they do. These 2 top 10 sports stars know how to fight for what they want. I wish them luck in all they do! I admire all these top 10 sports stars. They all fought to be this good. I simply admire them. Every star from this list deserves to be here. All these top 10 sports stars are very good and they all deserve the first place. Who is Dwayne Johnson? I have never heard about him? Wrestling isn’t one of my favorite sports. But does he deserves to be in this top 10 sport stars? I don’t think so.